Now if Christ is preached that He has been raised from the dead, how do some among you say that there is no resurrection of the dead?…[I]f Christ has not been raised, your faith is worthless; you are still in your sins…. If we have hoped in Christ in this life only, we are of all men most to be pitied. So how would you respond to this challenge from a friend? There just isn’t enough evidence to believe the resurrection actually happened. There are no contemporary accounts of it (the Gospels were written decades later), and nobody but Christians ever wrote about it. It seems to me that if it had happened, more people would have written about it when it happened. And besides, unless we have a video tape of events, how can we ever know anything about history for sure? One thing that’s helpful when confronted with a challenge like this one is to quickly separate in your mind the points being made so you can determine which are most important. You’ll rarely get to say everything you want to say in a conversation, so you have to be willing to let some things go (not always easy for the eager apologist!) in order to drive home the point that has the greatest priority. What are the different claims that could be addressed? What factual errors has he made? What misconceptions does he have about the people of Jesus’ time? What mistake does he make about how to determine historical events? What evidence would you offer for the resurrection? Where would you start answering his questions? What questions would you ask him? Give us your ideas, and we’ll hear back from Brett on Thursday. 1. “There is not enough evidence” – I think there are two responses to this. How much evidence do you want to be convinced? And what how would you define evidence? This challenge is really a cop out of assessing and responding to the evidence that is available. If there is one shred of evidence it is worth considering the claim, and then what is the best explanation for any evidence that is available? You can’t write something off as having not happened because there is not a large volume of evidence, it is the quality and truthfulness of the evidence that gives evidence its value. 2. “There are no contemporary accounts” – What do you mean by contemporary accounts? How soon after the event happened, would you consider a report being contemporary to the actual event? At this point I would bring up the point that Mike Licona makes about the early church creeds being dated to within 4 years of Christ’s death and resurrection. It was something that the early church believed, not just something recorded 50 years after Jesus’ death. 3. “Nobody but Christians wrote about it” – Firstly, this is factually wrong as there are other accounts such as Josephus and Tacitus, non-Christian sources, who record Jesus life and death. Secondly, why does it matter that only Christians wrote about it? If bias cannot be allowed to influence our writings and record keeping then nothing that has ever been written is valid as a historical source. 4. “If it had happened, more people would have written about it” – Again, quantity does not overrule quality in what has been recorded. Besides, they didn’t have the internet or Twitter or email or modern day news channels like we do therefore outside of the immediate area, people may not have known about it, so why write about it? Also, in terms of the other people who may have written about it, they had good reason not to. Why would the Jews record the resurrection of Jesus? They had every reason to keep that suppressed. And the Romans didn’t want any more trouble between the Christians and Jews so they would not make it widely known that Jesus had risen. Everyone had the motive to keep it concealed with the exception of the disciples, and if it hadn’t really happened, why would they reveal and hold to it, when they knew what persecution it would bring? 5. “Unless we have a video tape of events, how can we ever know anything about history for sure?” – Well good luck proving or believing anything! If we have to have video tapes of everything to prove it then I was never born because it wasn’t recorded on video. If they believed in evolution, I would say they have just disproved their own theory as their is no video tape to prove it. Videos are not the only method of recording historical events and if that is the only evidence you will accept, then there is a lot you cannot believe. I’m no expert in antiquity (though it’s one of my interests), but I’ll give it a shot. Well if this is a reason to doubt its historicity then I guess we need to shed doubt on much of the history of antiquity! Besides, the gospels and epistles in the NT were written by people who were alive when Jesus was crucified, so I’m not sure how much more contemporary you want to be. There may be a confusion on the way people did things back in the first century due to lack of context. The friend is thinking that if WE in the 21st century write things down and record them immediately then people back in the 1st century must have done the same thing. This isn’t the case. We need a better knowledge of how history was recorded in that time period before making such judgments. 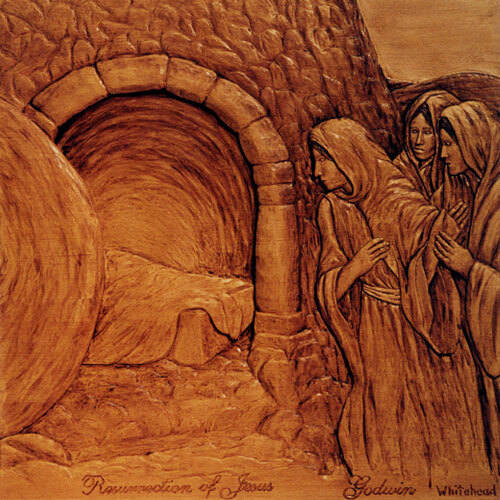 There is more evidence for the resurrection that for most ancient historical events. If it’s not enough, then one should disbelieve that virtually all events in antiquity ever took place. Specifically, there exists sound evidence from contemporary sources that Jesus was crucified, that his disciples believed that he was raised from the dead, and that his disciples acted in ways that are uncommon based on their conviction. There are no serious scholars in the field of biblical archeology who doubt any of these statements. The evidence includes a creed claiming that as many as 500 individuals saw him alive after the day of his crucifixion, and this creed, quoted in I Corin 15:3-8, dates from just a few years, and possibly just a few MONTHS, after his crucifixion. I would simply advise anyone with that challenge to take my challenge to read Paul L Maier’s book “First Easter” or the trilogy that includes it called “In the Fullness of Time”. Maier is professor emeritus of Ancient History at Western Michigan University. Anything that most of us say will ultimately be disregarded by most challengers–Maier’s book masterfully and logically debunks all of the doubts and legends concerning Jesus’ resurrection. @Sue Wilson, I hear what you’re saying, but at the same time, if that person doesn’t want to read a book then we have to be prepared as ambassadors to answer their challenges. And even if they read a book, no matter how good and clearly it puts things, the minds of the unbeliever will still find ways to reject it. I think this challenge is an incredible opportunity to present the facts about the resurrection but more importantly what it means to you and I. It shouldn’t surprise us that only Christians would write about the resurrection. If somebody became convinced that the resurrection actually happened, they would probably convert to Christianity. So we shouldn’t expect anybody who is not a Christian to record the resurrection. We are studying the Book of Luke currently and I recall learning Luke was not a Christian. It made an impression on me since the Book itself is evidence of our faith.